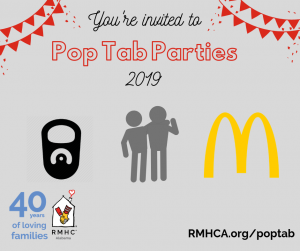 Our Group of the Year Award goes to a group of volunteers who exceed expectations serving the house through multiple projects and also stand out as leaders and community advocates for RMHCA. 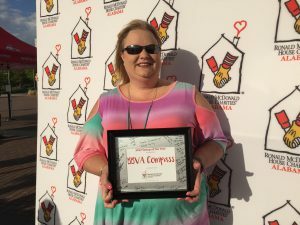 While this group did not contain the same members each time, BBVA Compass gave back a significant amount of time, resources, and expertise to our mission. From meal groups, to group projects, to volunteering at events, we had participation from this group across the board! Not only did they just participate, they excelled and are a group we know we can rely on if we have volunteering opportunities. Allyson (pictured) has served with us for some time and introduced her love for RMHCA when she was elected to the Birmingham Volunteers Chapter Board for BBVA. We are so grateful to BBVA and their dedication to our mission, financial support and excellent volunteerism! Click here to learn more about volunteering at RMHCA.